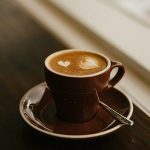 Between the tail end of storms, upcoming Hallowe’en parties, shorter days and of course Christmas, there’s plenty of cooking to enjoy in the kitchen this Autumn and Winter. 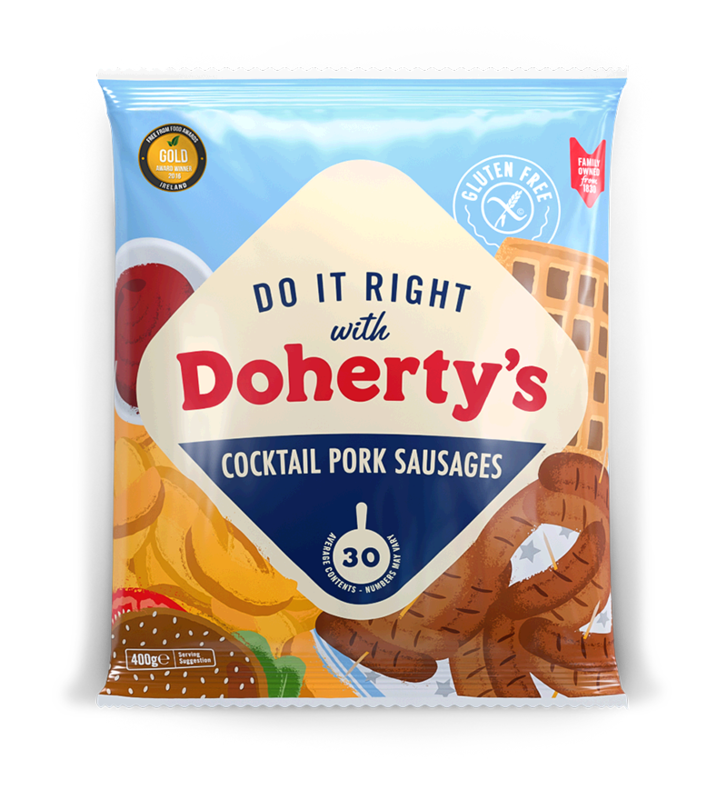 Especially if you’re stocking up on the full range of Doherty’s Gluten Free meats. 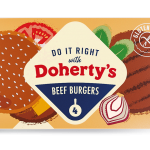 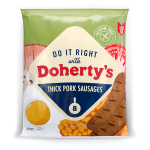 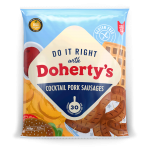 If you have attended any of our Gluten Free Food Fairs around Northern Ireland in the past few years, you’ll be familiar with the Doherty’s stand, always serving a selection of delicious gluten free meats, particularly sausages. 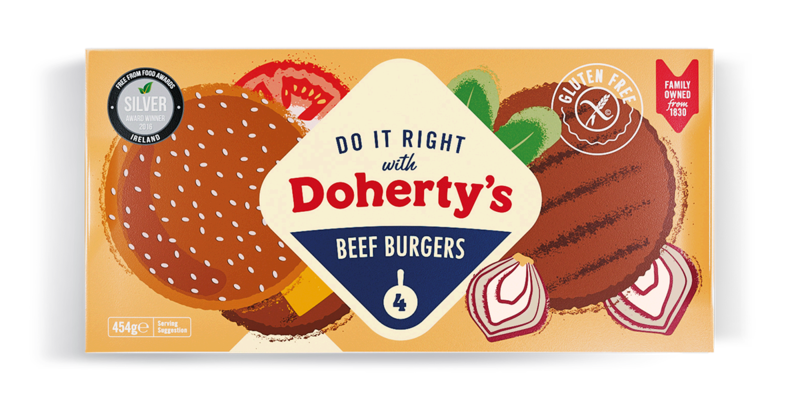 But did you also know they offer beef burgers, cocktail sausages and beef meatballs, all gluten free? 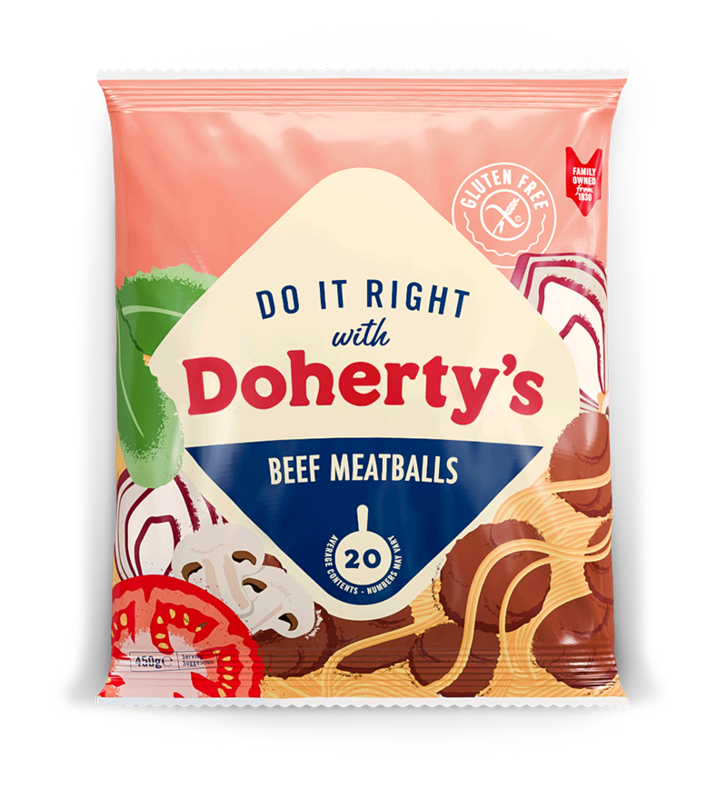 Fry the onion with a little oil in a pan, add the meatballs and brown on a low heat, add the red wine and leave to evaporate. 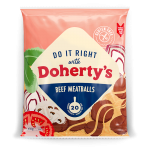 In the meantime, wash the tomatoes and cut into quarters, then add to the meatballs and leave to cook for 10 minutes. 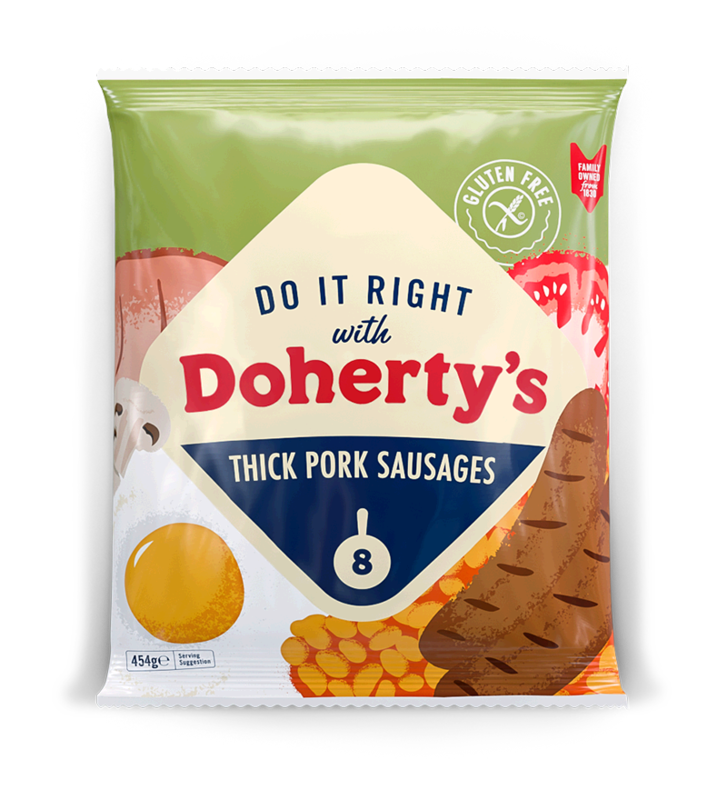 Cook the spaghetti in plenty of boiling water according to the packet.